When I first started writing fiction, my scenes had long intermissions, ellipses in place of dialogue, holes in place of plot. I’d skip chapters, write out of sequence. My ideas didn’t have legs because they weren’t fleshed out. They lacked focus because they weren’t developed. It was hard to keep my tone consistent, when I wrote in fractured moments. It was hard to keep track of who said what, when my characters had yet to be named. 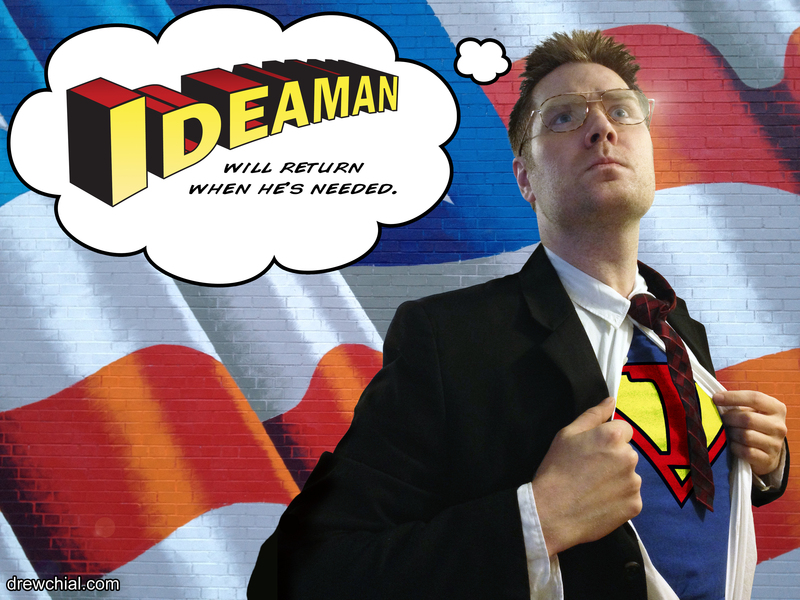 Idea Man flew so far away, I couldn’t decide if he was a bird or a plain. Soaring through the thought clouds, he was neck deep in inspiration. If anyone could break my writer’s block, it was him. I realized I’d have to devise a scheme to bring him down to my level. Coming from a poetry background, where stanzas can be made from lists, I tried the technique in the long form. Rather than dive into the action, I over described my locations. I’d log the evidence of an event, until I realized my police reports weren’t drawing down Idea Man. He wouldn’t make an appearance for atmosphere alone. Mouthing both sides of a conversation, I’d come up with clever bits of banter. My subconscious did the talking, while my fingers went a-walking. Rather than direct my dialogue, I’d play stenographer, honoring the first words that came to mind, occasionally shoehorning in one-liners. My muse wouldn’t stop speaking long enough to draw breath, my fingers tripped across the keyboard. It felt like I’d finally channeled my hero until I realized it was his evil twin: Mediocrity Man. I thought I’d written radio plays that were just waiting for visual accompaniment, but they were too conversational. They had nowhere to go. It turned out, the best dramatic discussions didn’t follow real speech patterns. They revealed character details while serving the plot at the same time. Using my talent for writing lists, I decided to outline everything. I didn’t stop at “Character drives” and “goals,” my ideation was all encompassing. I fired a chain of bullet points at my background research. I knew how my hero’s public habits contrasted their private peculiarities, even if the audience never got to make this discovery. I knew how their psychological profile effected their clothing style. I knew how their sense of humor showed in their posture. Not only did I know my characters’ names, I knew their upbringing, economic backgrounds, education, religious beliefs, professions, and political leanings. It didn’t matter if their parents didn’t get any screen time, they had their own paragraphs on my outline. It didn’t matter if we never saw their humble abode, I’d still describe it down to the last pillow. My dogmatic draft predicted the page number I wanted every plot point to happen on. It was a map that refused to acknowledge shifting terrains. Assuming character motivations would always make sense, the plot dictated their actions. They entered a scene, not because of their powerful drive, but because the story needed them to. 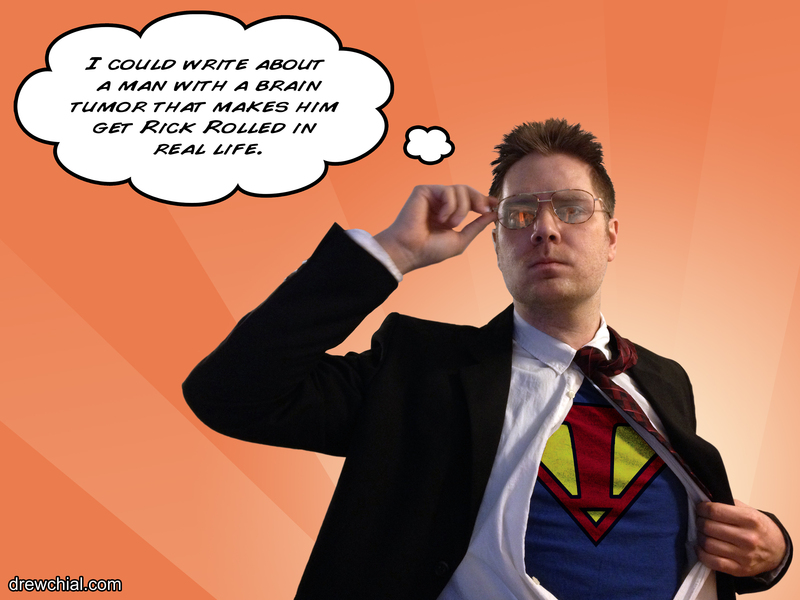 When I finally started writing, Idea Man came, but his contributions lacked passion. I’d already introduced him to all the characters, I’d already scouted all the locations, we knew the timeline for every situation. 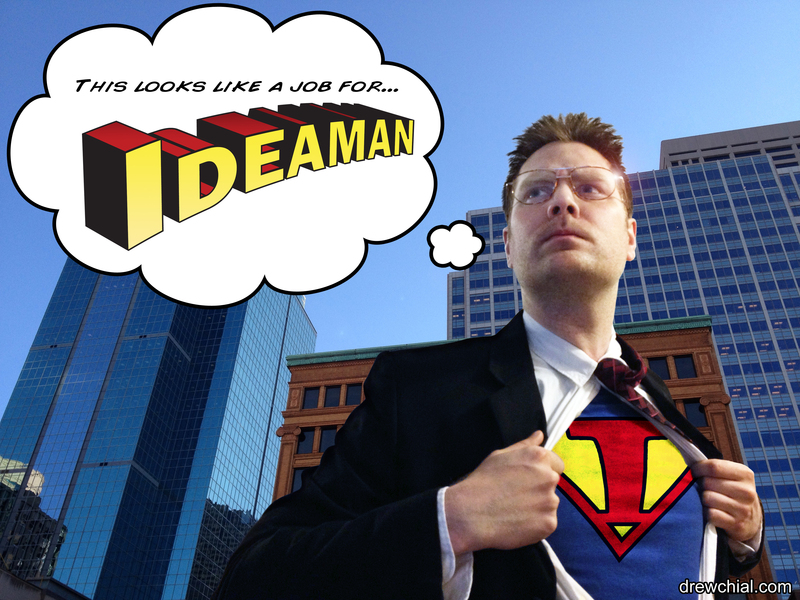 Without the thrill of discovery, Idea Man was just going through the motions. I hadn’t given him any wiggle room, I hadn’t left him space to make a contribution. He shuffled his way through a draft, before flying off, never to return to the story again. A dead body is found in a locked room. The killer used a timed poison and special appearing ink to leave his mark. His next victim may already be doomed. A drunken lawyer staggers into the woods, interrupts a trial for a man’s soul, represents him and wins. A teenager finds messages from his future self in his journal, only to discover that his future self is sabotaging his life. Idea Man dragged a trail of thought clouds from the heavens, interrupting my work in progress with a slew of better ones. I was walking through a smog of thought clouds, not so much a daydreamer but a sleepwalker lost in a brainstorm. 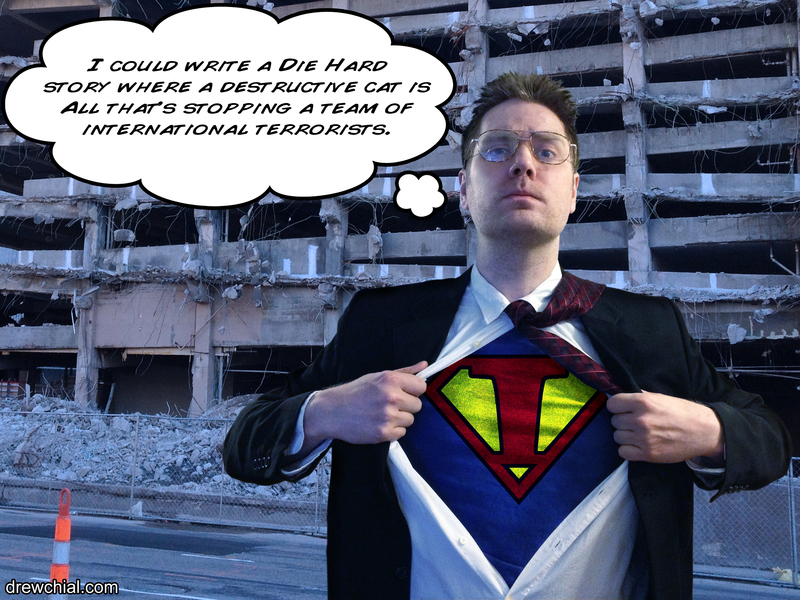 This is what I got for writing commando, like Stephen King without a tight binding outline. Idea Man kept making deliveries, but I was running out of places to put them. The sheetrock was cracking, the oven tilting, my back burner was filled with too many things. The refrigerator door hung off its hinge, weighed down by post-it notes, IOUs for material I’d yet to get to. There was a ceramic dust pattern on the table, an outline of a plate with one too many things put on it. The exits to my memory palace were blocked. There were too many big ideas in the way, I was wading through them. The dam had broken, my writer’s block had flooded my brain. I was drowning in thought clouds. I needed to sort through the backlog, to find my focus, to pick a project, but Idea Man kept the deliveries coming. In the maze of my mental map the paths forked into all directions. I walked into a short story, hoping it would spit me out in the middle of my novel. I ran through a journal entry, hoping it came out as an article. I ventured down one path, praying it could get me to my career goals. It was hard to see the light when I had so many bright ideas. Each bulb orbited my head demanding to be acknowledged. It was hard to hear my thoughts when they made so much noise. The toys in the attic were all wound up, they were having a parade. I used to wait for Idea Man to breach my fortress of solitude, now I was waiting for him to leave me a moment of clarity. I needed away to harness him without taking every thought cloud he had to offer. I needed to hold his attention without trapping him in a kryptonite cage. Idea Man needed an outline that allowed him the freedom of discovery. Character: Who’s the lead? What is their drive? Break in the Routine: What pulls the rug out from under them? What goal do they acquire? Does the conflict with their drive set them on the path to a personal change? Situation: What’s the premise? Where does it take place? Conflict: Who’s the antagonist? How does their goal interfere with the hero’s? Plot Point 1: When is it too late for the hero to turn back? Mid Point: Do the alliances shift? Does the hero learn a lesson that signals the beginning of a change? Plot Point 2: What’s the hero’s lowest possible moment? When they acquire their goal, do they discover it wasn’t what they wanted? Do they seek a new one? Climax: How does their personal change prepare them for the final battle? Resolution: When the dust settles, has the hero grown as a person? Starting a story, I keep these plot points in mind, while leaving everything else open for discovery. Even these points aren’t set in stone. 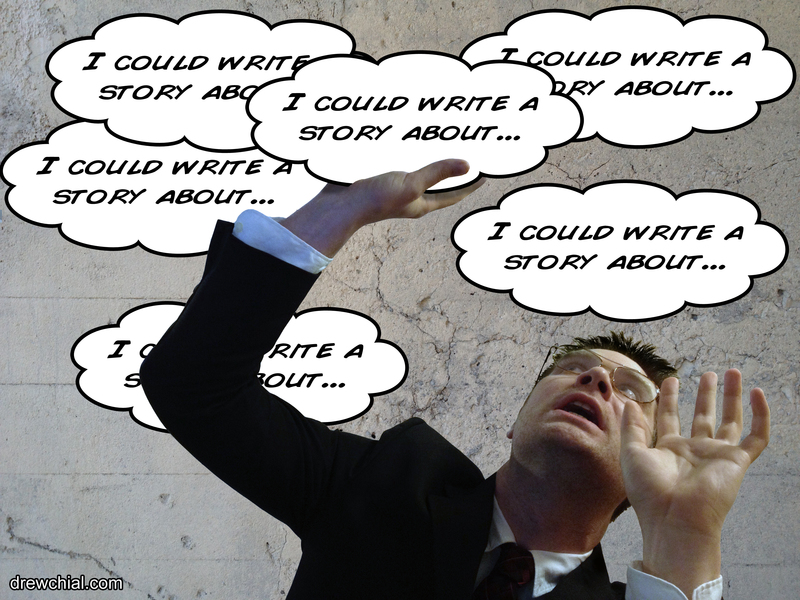 If Idea Man delivers a thought cloud that suits the story, I’ll use it, if it’s out of place, I can cast it away without feeling like I’m losing something (I’ve made a habit of storing these ideas in other documents). To paraphrase some words of wisdom from Trey Parker: this plot point happens therefore this plot point happens, but then this one happens, therefore so does this one. His stories are collections of “therefores” and “but thens.” Each scene comes with a reason, you have to pop all the extraneous thought clouds that start with “and then.” Everything better be connected or it’s out of place. I can avoid referring to a draft by linking all these plot points in my head. I cover this process in great detail in my blog on How to Build a Memory Palace Pitch. The trick is to make the essential connections early on, then you’ll have an idea of where everything should be heading. It’s this combination of outline and free form strategies that’s kept Idea Man on task and interested at the same time. 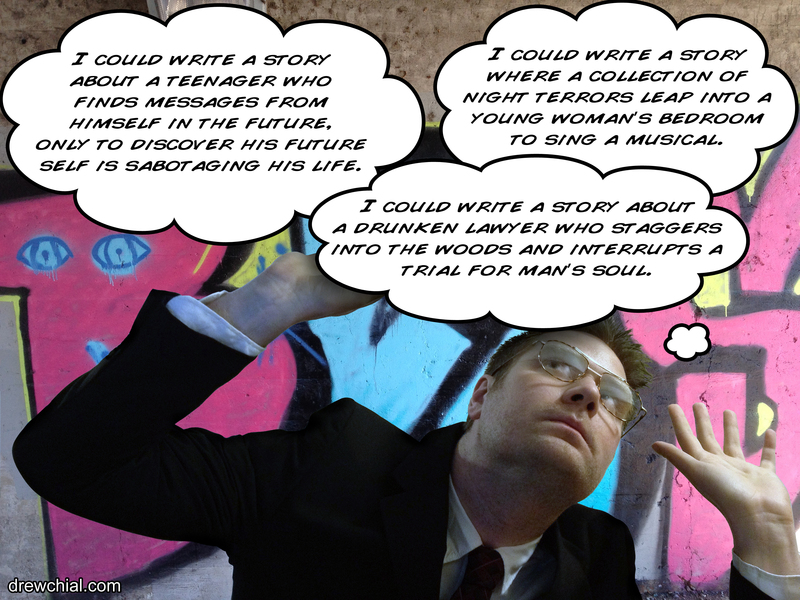 Ha, as a poet who is also writing a crime fiction novel, I can certainly relate to quite a few of these predicaments! Well done for finding a way to write which works for you and Ideaman – really enjoyed this post (and the pictures). Thank you. I’d planned two pictures and kind of got carried away with them. Crime fiction is tricky. It helps if you know the resolution to the mystery going in, so you can plant the evidence up front, but you want to keep yourself interested at the same time. An earlier draft of this article was something like 200-500 words longer, just listing ideas I’ve that I haven’t had time to get to. Claustrophobic indeed. I actually, for the first time did a character outline for my new series. Main characters got pages of info put in about their likes, dislikes, tattoos, boyfriends, history that the reader will never know. BUT, you need to also know that when you write book #2, you need to keep their outline, but you can learn more about them. My secondary characters ended up having more interesting lives than I had thought, my main character had a different childhood. Keep that outline, but let yourself have the freedom to keep adding to them, like the things you learn about from a good friend the longer you spend time with them. Nice blog. Thanks for sharing that insight. Everybody has to find the method that works for them. I started by trying to write a sprawling character bible for a series. It turned out I wanted the characters to have more mystery than I had anticipated, that and minor players had far more staying power than I’d anticipated. It helps to be flexible. Awesome post! Idea Man has a tendency to want to distract me from my WIP as well. I’m not much of an outliner, I get hung up in my own rules, but I do keep a list of potential scene ideas. 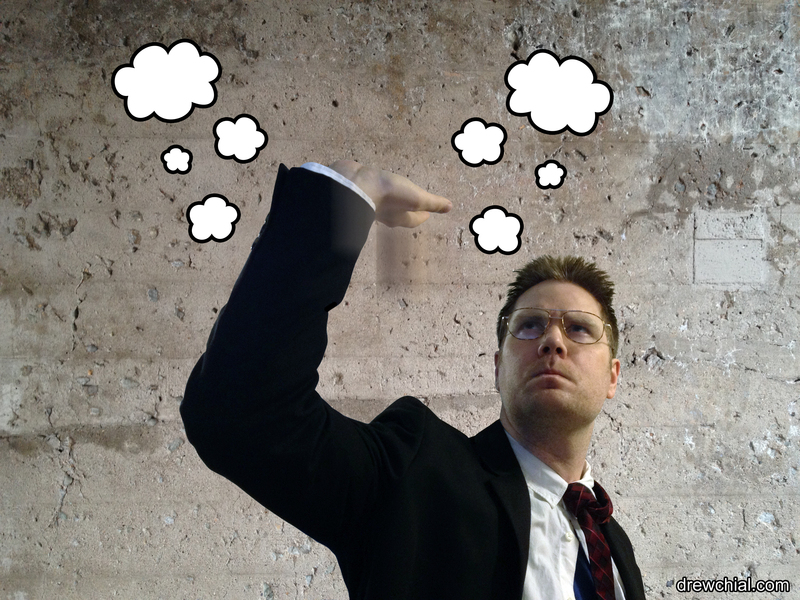 I use an index card app on my phone to wrangle those thought clouds by project. Once they’re saved there, I can let them go and revisit them at a more appropriate time. I type a lot of comments in the margins of my documents, whenever I get an idea that’s outside of the plan. Then I put let checkmarks next to the ones I’ve used or dismissed. Enjoyed the post, Drew. Always find it interesting to read how other writers approach outlining, free-form or a mix of the two. Good to hear you found a way of keeping Idea Man happily sane (smile). Thanks for reading this. I’m always trying to get the balance right. It doesn’t hurt to have an idea that’s strong enough that I can refer to it from memory. When I feel a burst coming on, I put on my headphone mike and let the ideas flow right through MS speech recognition to the laptop. Seems to keep up with the speed of thoughts better than routing through my fingers. Thx for balance of post with “Now what?” advice. I’m working on adding more lights at the end of my tunnels. Sometimes I’m good at identifying the problem and then just leaving it at that. I’m still learning lessons about this writing predicament. This sounds exactly how I used to be with all the outlining. While working on my main novel WIPs last year, I planned everything out way too much with spreadsheets, storyboards, scene summaries, all before I started writing! Eventually, after writing a good chunk of it, I did become frustrated and set it aside. “It took me years to realize, the more I drafted the less I finished. The more I edited as I went, the less likely I was to get to the end.” This is sooooo me. I never finish anything. Drowning, that is exactly how I feel most of the time, I get sidetracked easily. There is definitely advice here that I can put to good use, so thank you for writing this and sharing. I have started to try more discovery writing the past few months with some short stories. I like your idea of having a few story elements written down, then letting the rest of the story find itself. I’m really happy you found some useful material here. This is my approach with the story I’m working on right now. I know the major beats. I have a vision for some of the scenes, and though I know the roles I need to fill, I’ve yet to meet all the characters. Hopefully your dream journals have taught your something about pacing. Dreams can pack a lot of action into such a short span of time. They’re always moving. Thank you so much for reading, sharing and commenting. I have an entry coming up next Thursday you might find interesting. I love this post! I always hear about “writers block” and it drives me up the wall, because I have the opposite problem: too many ideas to manage properly. But if I say that, it can easily sound like I’m being smug. I don’t like being overwhelmed by a gazillion ideas. It’s exhausting, frustrating, annoying, and a constant challenge. I love #MondayBlogs, it’s become the centerpiece of my entire week. I know what you mean, when it comes to writer’s block. I keep flashing back to an episode of the Simpsons where a doctor tries to explain to Mr. Burns that he has all known deceases, but the he doesn’t feel the effects because they’re all trying to pass through the same door at once. That’s how my ideas are. They block each other out. Right now, I have a blog idea on writing villains who border on being anti-heroes that is cutting into my progress with my novel.